I was so thrilled when Jason, the filmmaker behind the webseries “All New York’s a Venue” approached Corita about featuring us in his project. 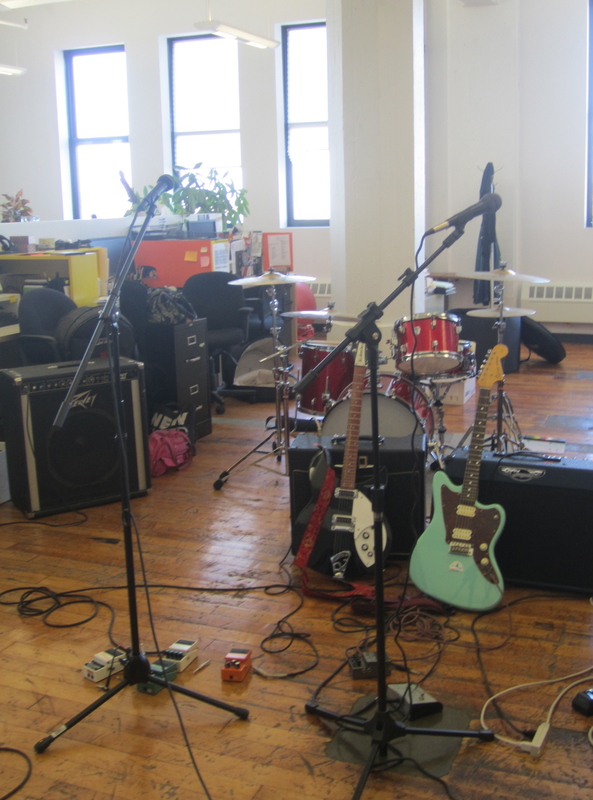 His videos feature indie bands playing songs in atypical locations, often quite unfit for a musical performance. The best part about the videos, I think, is that they are not music videos per se. They are not overly staged. They are just a live performance in an unconventional location. 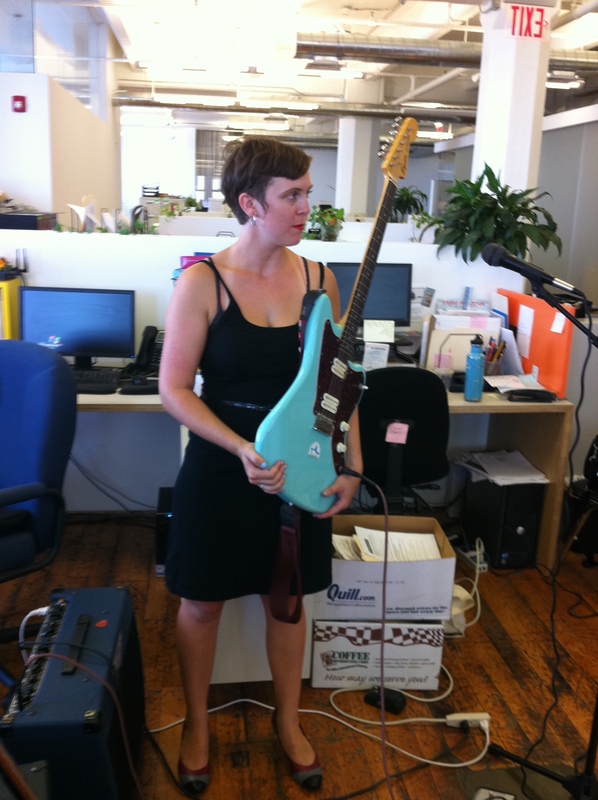 My band Corita posed a challenge, however. We can’t play acoustic. I don’t want to sound snobby, but our songs rely on reverb, delay and a little bit of distortion (see, we’re a bit shoegaze). This does not work on an acoustic guitar, so playing on the subway or down by the Gowanus canal (our favorite NYC polluted waterway) was not an option. We needed somewhere to plug in. Then I came up with an idea. My workplace is incredibly supportive of artists. That’s our business. We also have an airy, light-filled loft in DUMBO. 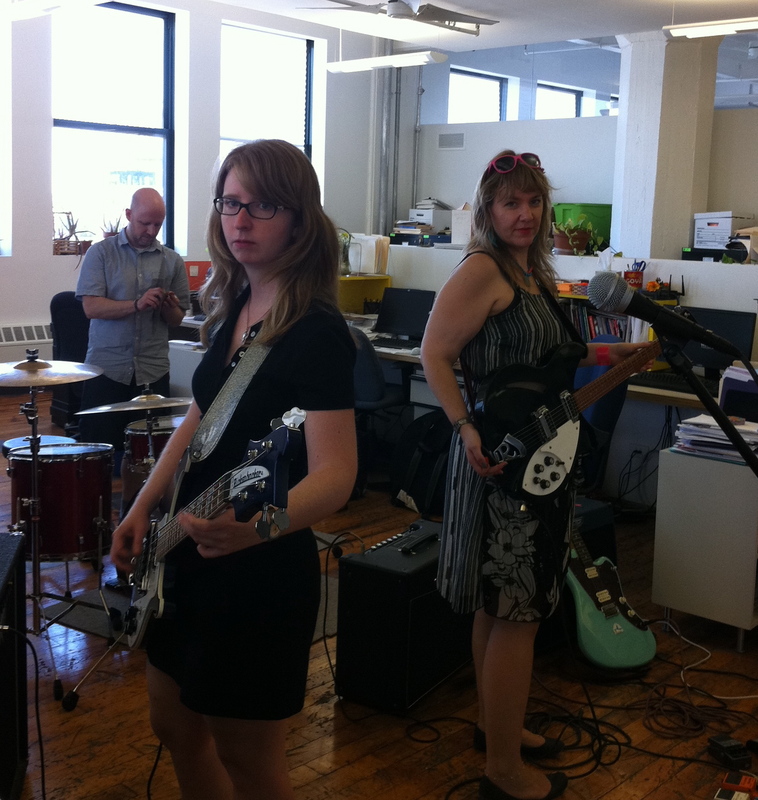 Considering we had a feminist tea party come and set up shop in the office for a week I thought, well, why not a band? The organization was only too happy to agree, as long as we did it on a Saturday when the office was empty and kept the noise to a minimum. 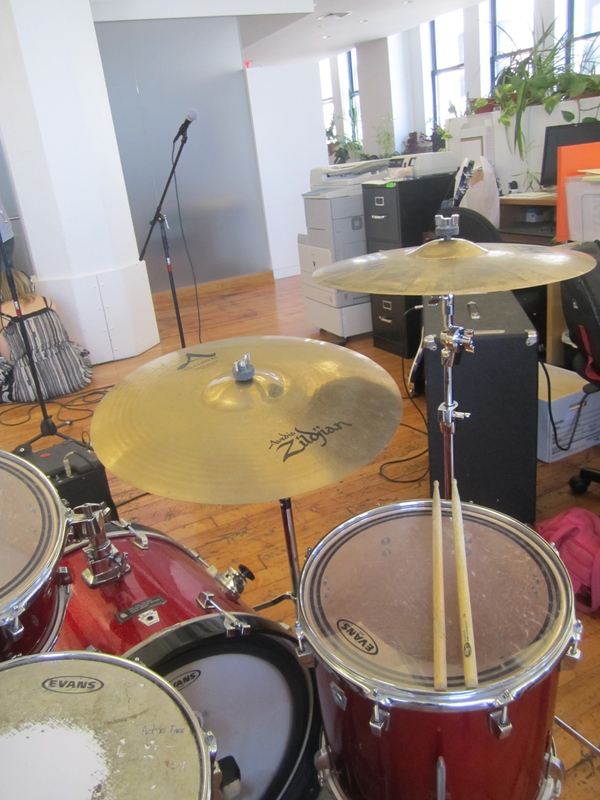 It was really funny, and strange, to load all our gear into my office and play our songs about disenchantment, growing older, and looking at the sky in the middle of the file boxes and computers I see everyday. But that is part of the fun of the project. The incongruous nature of the music and the location. I hope you enjoy watching the results! All New York’s a Venue #6: Corita – “Act So Fake” from Jason Hood on Vimeo. All New York’s a Venue #6: Corita – “Clouds” from Jason Hood on Vimeo.